Bitterroot flowers on the hills of the southern edge of the valley containing Ellensburg. 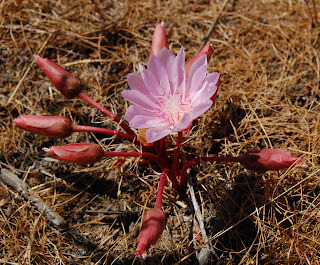 It's a surprising flower to see in a parched landscape, as it flowers prior to any foliage appearing for the season. It was named Lewisia rediviva by Pursh, who documented many of the specimens Lewis and Clark brought back from their trip west.